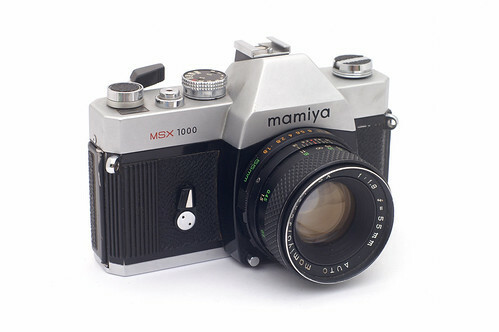 Mamiya offered two 35mm SLRs circa 1974, designated as either MSX 500 or MSX 1000 (for either 1/500 or 1/1000 as fastest shutter speed). 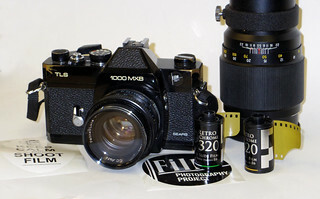 Both have TTL spot metering, measuring a rectangular area shown bracketed at the bottom of the viewfinder image, with a needle visible in the viewfinder. The MSX 1000 offers a self-timer, not found on the MSX 500. The flash sync speed is 1/60 sec. These models use Mamiya SX lenses, an elaboration of the 42mm screw mount adding an aperture coupling pin for open-aperture metering. 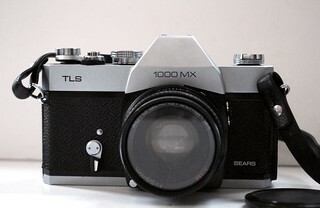 Sears sold a version of the MSX 1000 branded as TLS 1000 MX. The DSX series were related models offering switchable spot vs. averaging meter patterns. Mamiya MSX and DSX, at Ron Herron's "Collecting Mamiya 35mm Cameras"
This page was last edited on 16 June 2017, at 06:19.